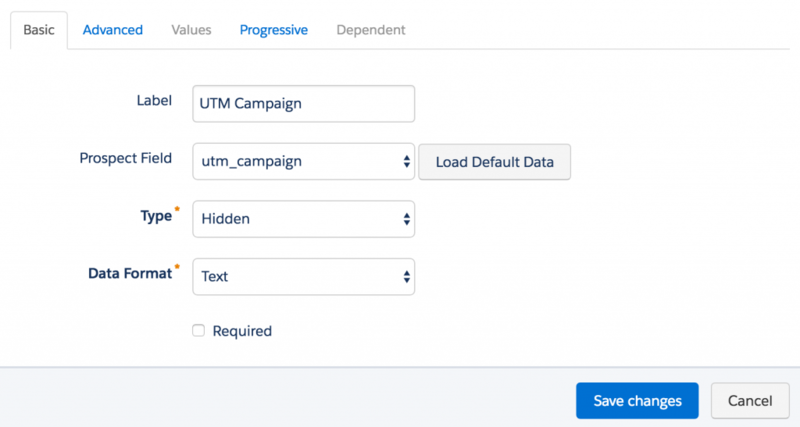 UTM parameters are tags you add to a URL. Marketers use this to be able to track the traffic from a variety of sources such as email, social media, banner ads, etc. The tags can be sent back to Google Analytics and tracked which can be used to gauge the effectiveness of campaigns and identify the best ways to drive more visitors to your website. Hi Jenna, Is there any way we can append the UTM parameters in the links that we use in emails? I wanted all my email links starting with "www" to have the UTM parameters automatically. This can be done in Responsys & in Eloqua. But couldn't find a way to do for emails in Pardot. Thanks! No, I haven't come across a way to do that in Pardot. Hey Jenna, your code works wonderfully and pulls the info into the prospects record thank you so much for your detailed instructions.. However I am having trouble with the encoding of the UTM link that is attached to a button in my html email. What special characters do I have to change out to get the link to correctly update the "Click to open ratio in my email stats? Hi Jenna, would it be possible to do this to the form handler as well? Thanks! Hi Jenna, If I add the code to the below form section in Pardot, how can i keep that text hidden on my form? When i click "view online" i can see the html below my form. Thanks! Do you also leverage the Google Analytics connector to pull in this information, or do it only through the hidden form fields? Hi Jenna. When you say that the GA connector only captures the UTMs once, when is that exactly? The first time they are written to the database? The create date?